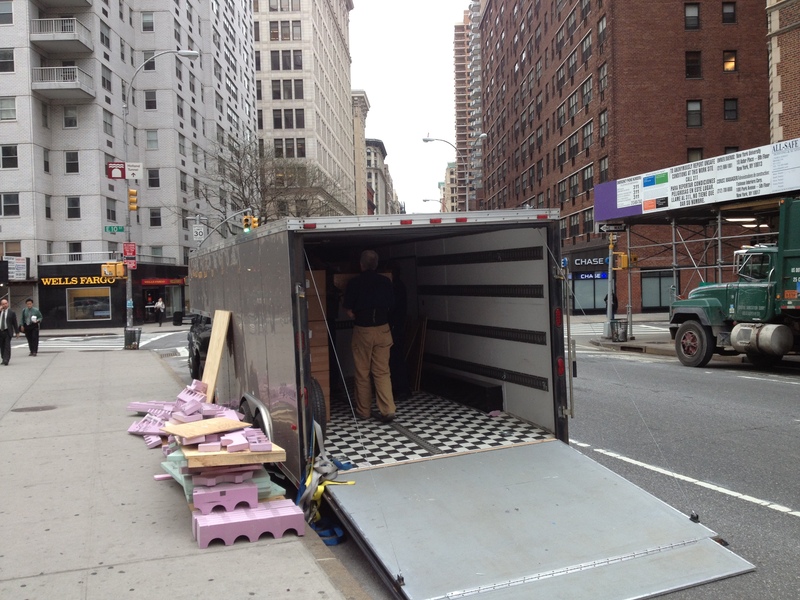 30 April 2013, The Final Delivery! 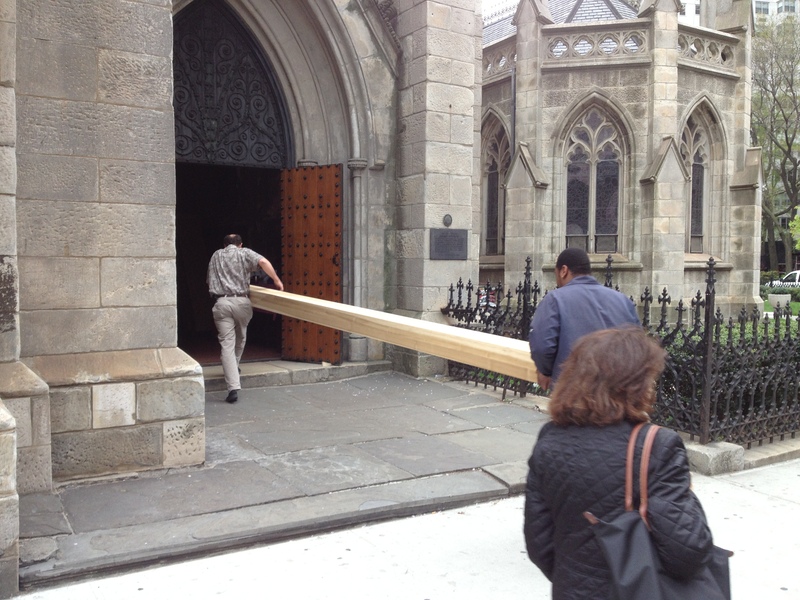 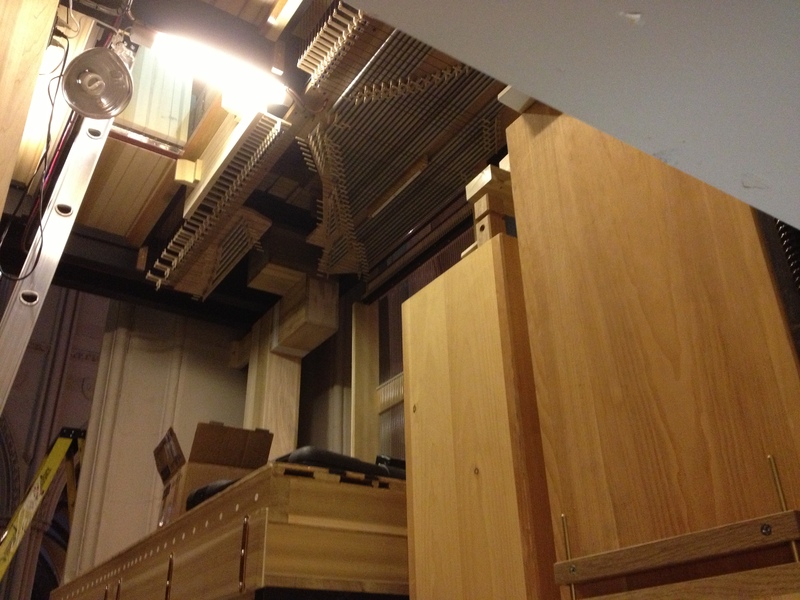 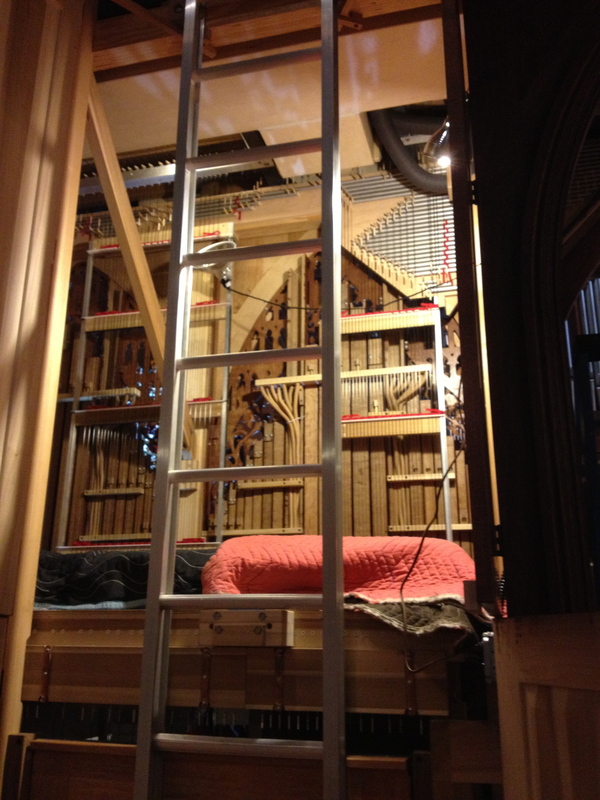 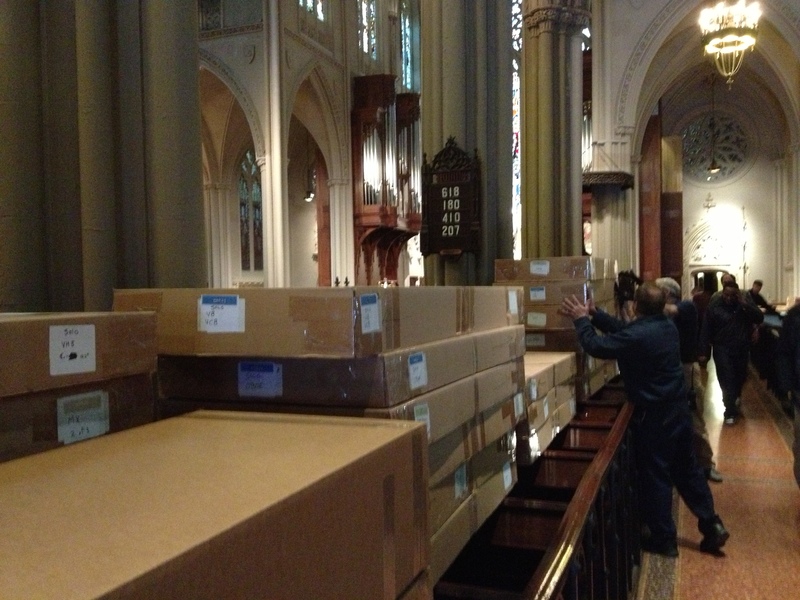 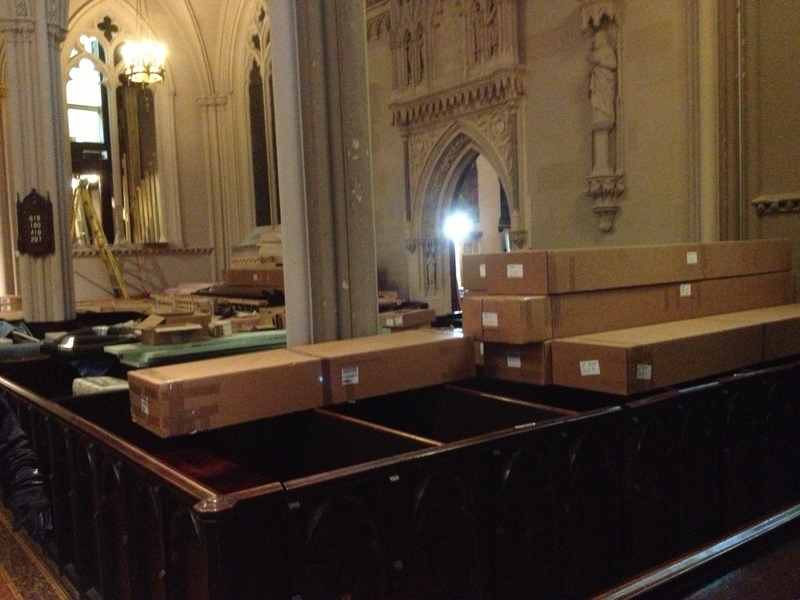 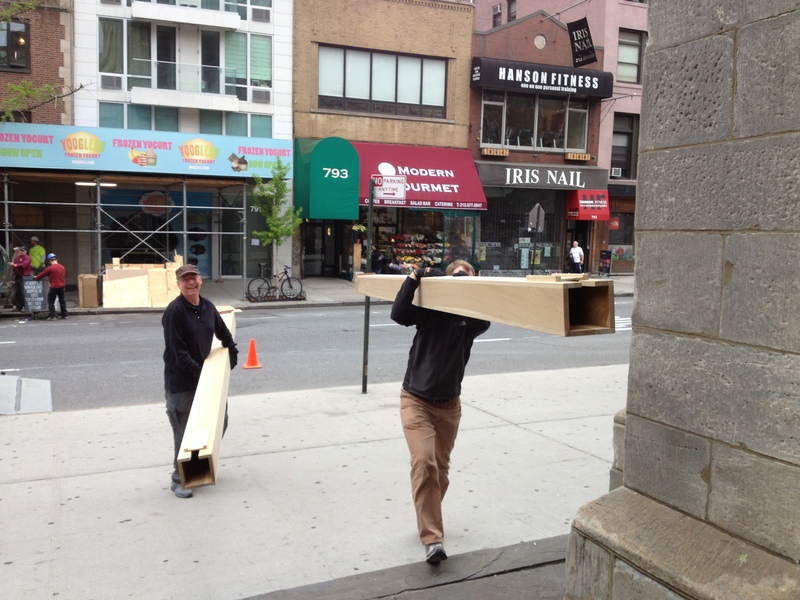 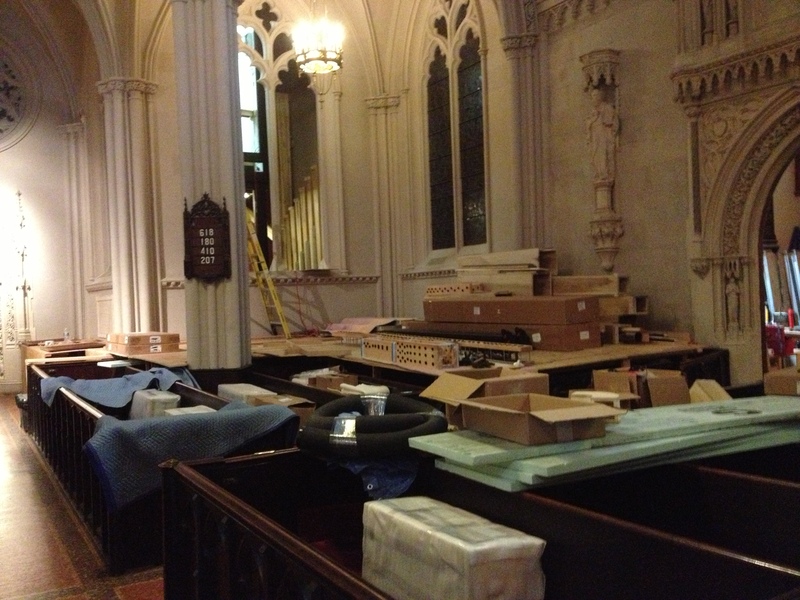 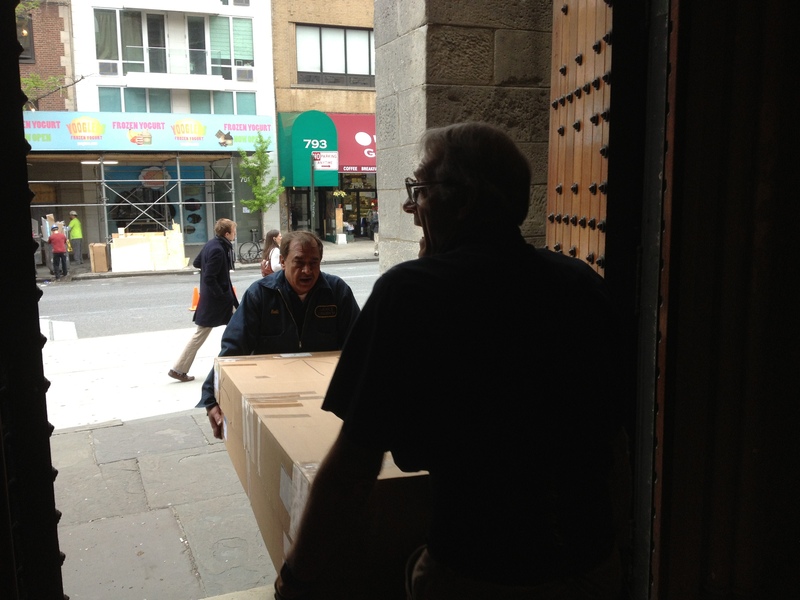 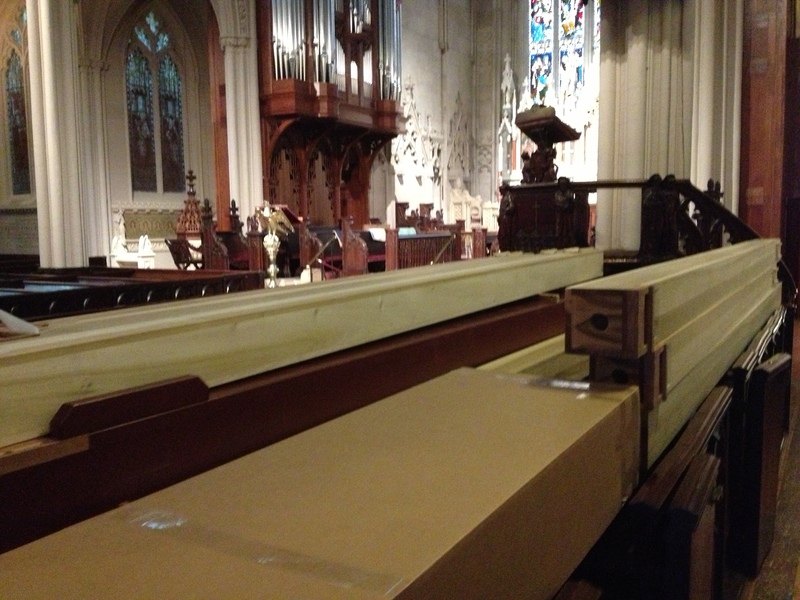 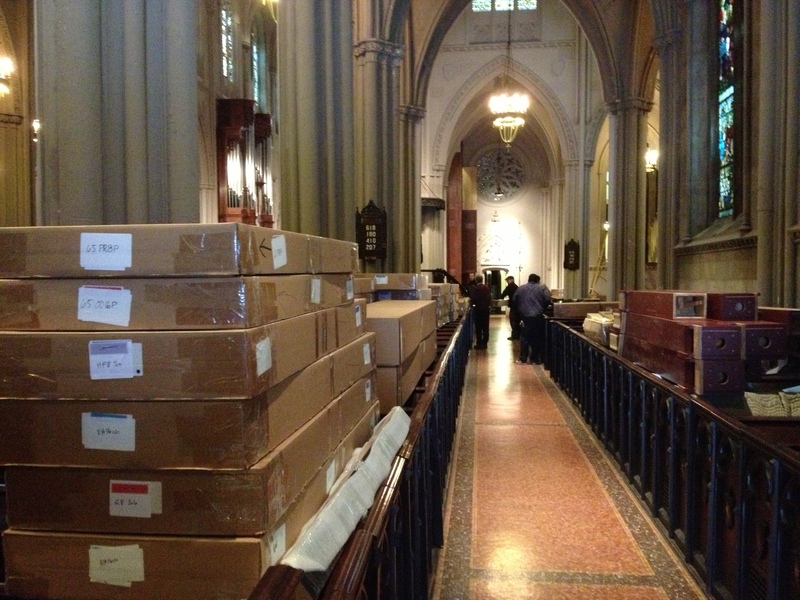 This morning the trailer of Taylor and Boody pulled up on Broadway and our final big delivery of organ pipes arrived. 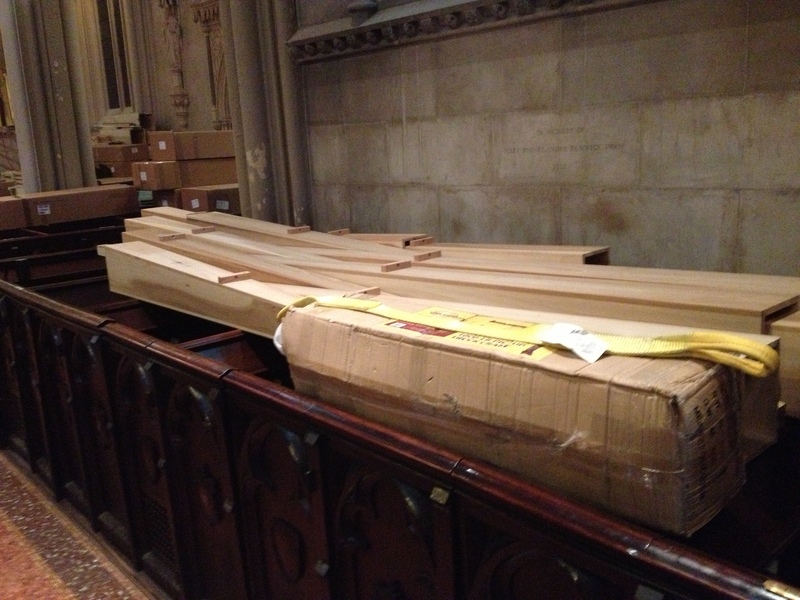 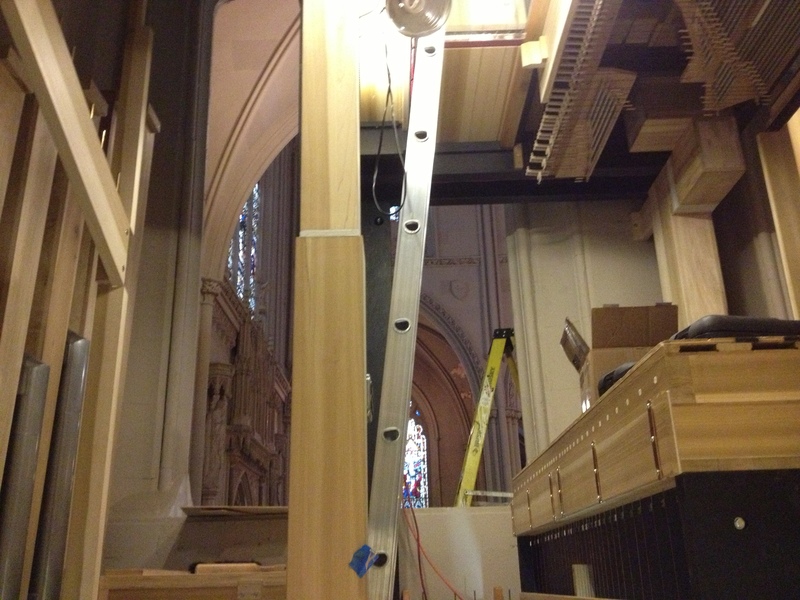 In this delivery are the big pedal pipes and solo division pipes that will fill the old organ chamber in the south east corner of the nave. 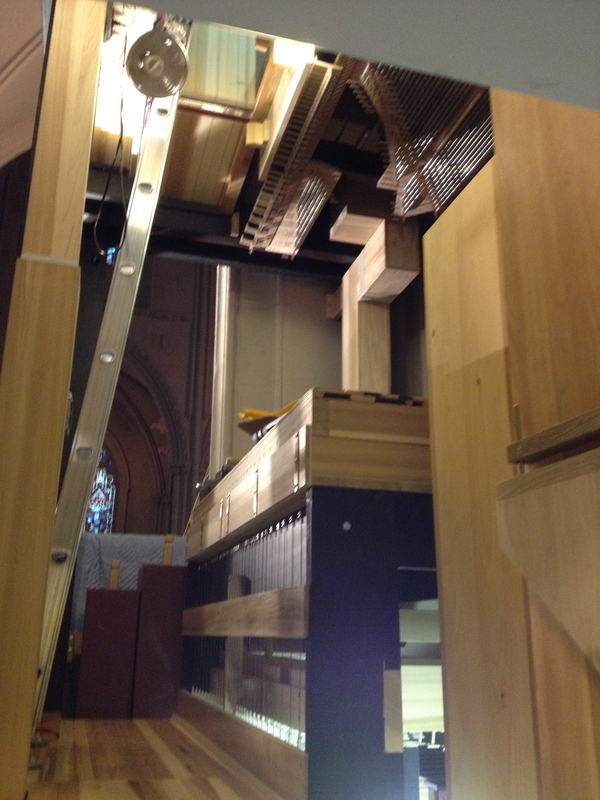 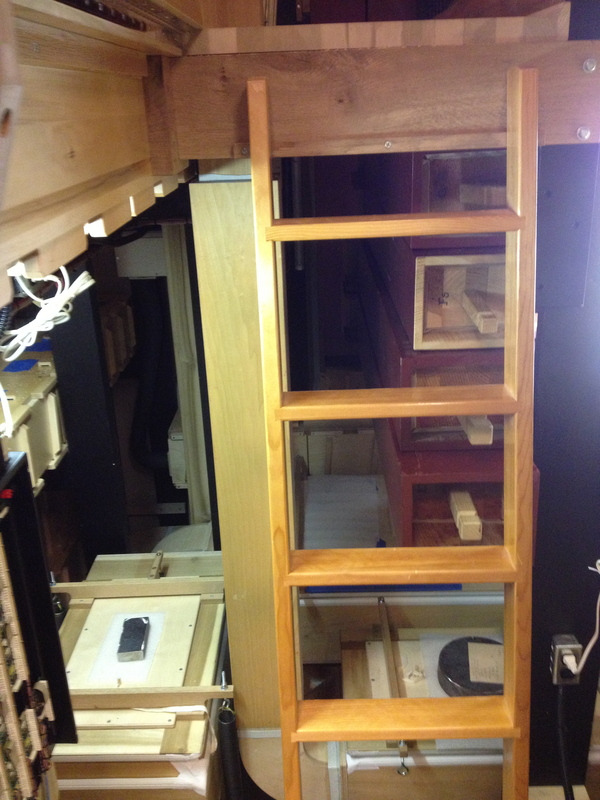 By the end of the day the pipes were sorted and the large 16′ pipes of the Open Diapason, Violine and Bourdon were already being placed on their chests.